If you need more direct help or instruction on photography, I offer individual photography tutoring sessions. The tutoring sessions are personalized sessions that are intended to help photographers where they might be struggling with specific aspects of flash photography. The photography tutoring sessions are based on the material that I present in the full-day workshops. These sessions take place in my studio in Little Falls, NJ 07470. The goal of the tutoring session is that we cover specific questions you have, and go over any challenges you are experiencing in photography. You are also encouraged to bring in images (either on a disc or on a laptop) that might provide insight into your needs. Having this information will allow me to personalize the tutoring session to make the most of the time available. Individual tutoring sessions are $100 per hour. These sessions can be as short as an hour, but typically last 3 – 4 hours. If the tutoring session is held away from my studio, there is an additional $100 travel fee. If you’d like to pair up with a friend, then the fee is $150 p/h. A non-refundable retainer of $100 is required to secure the date. Special rate: $500 for 5 hours, including 3 hours with a model. Check on my Studio Calendar to see if the date is available. Then confirm the date with me before paying the reservation fee! $100 non-refundable reservation fee to secure your date. Please note: in paying this fee, the time is blocked out exclusively for you. This means that I can’t book other work the same period. Hence, this fee is not refundable. please email me or phone me at 862-485-7276, for more info. I want to thank you for a hopefully life changing day! I had several aha! moments today. You truly have a gift not just in the obvious, (your photography), but in your ability to share your knowledge. Your desire to truly help someone is obvious; where some would keep their secrets to themselves you clearly want to help others become better. Your love of the science behind lighting “shines” through, and is almost contagious. I truly feel that with the tools you have given me today I will be able to take my passion to the next level and that is something one can not put a price tag on. Just wanted you to know how much I enjoyed the day, and appreciate what you have given me. For the last few years I’ve been shooting using only natural light. Who can honestly argue with the gentle light of late afternoon in February? The obvious problem is that it’s seldom late afternoon in February. So I was forced to venture into the wild unknown and extremely opinionated world of man made lighting. Thank goodness I came across Neil’s Blog. The pictures speak for themselves, the lighting is spot on. In most cases you wouldn’t know the lighting wasn’t coming thru a nearby window. I knew this was the man I wanted to learn from. I knew nothing when I first contacted Neil. I had just received my first Nikon Speedlight from B&H a SB910 but had no idea how to turn it on (o.k. I could turn it on but that was about it). We talked for a bit on the phone and I quickly set up a private 4 hour lesson in his studio. Mixing and Balancing of Ambient Light and Flash. Using Flash as a Main Light. Using Flash as a Fill. Correct Metering for Difficult Situations. The Real Factors that effect Freezing Motion. He also shared his vast knowledge on gear, and how little you really need to get a great amount of light (even when trying to light up a group of twelve people evenly). He went into the advantages of light meters both in camera and handheld and the logic of when to use which. Pocketwizards vs. Radio Poppers vs. CLS systems. It wasn’t just about the big topics tho, it was about the heavy and constant sprinkling of real world knowledge that Neil shares as he goes thru the lessons and exercises. He is a kind , warm, patient, funny and generous teacher who wants you to know every trick he does. For anyone that can take a lesson with Neil I highly ecourage you to. Your eyes will be opened to the truth about lighting. The proof is in the pictures. I just had a tutoring session with Neil. It was incredible. Neil didnt just tell me what to do, he explained the whys and demonstrated the how to’s so that I can now set my camera and flash knowledgably. Neil had me practice the different possible lighting setups I wanted to know about and because i was able to practice what i was learning it made it real and allowed me to see that I can make it happen. All this was done very patiently. I learned everything I was hoping to learn and more. Thank you Neil! He is a seasoned pro, wonderful educator, and full of charisma. 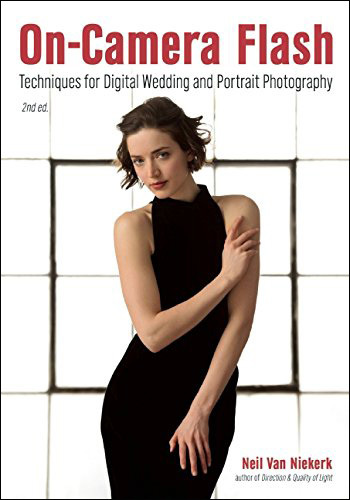 If you are an aspiring photographer or simply wish to shoot better photos, I recommend adding a personal tutoring session with Neil to your shopping list. I cannot say enough about this wonderful experience and plan to go back for more. I had considered attending one of Neil’s photography workshops, but because I felt I had a solid grasp of lighting (thanks primarily to Neil’s Tangents blog), and because I had a multitude of other questions about photography outside of the picture taking part of it, I opted for one of Neil’s private tutoring sessions. Some of the topics we covered were the logistics of shooting weddings, image file management, marketing, web site appearance and getting your website found, equipment selection and posing. As the others have said Neil is a wonderful teacher and all around great guy, he was very laid back and made me feel right at home at his studio during our time together. I feel fortunate that I live driving distance to Neil’s studio and had the opportunity to have a one on one with one of the most influential people of my journey into photography. I HIGHLY recommend making the trip to Little Falls for one of Neil’s tutoring sessions if you have the opportunity to do so.. I stumbled upon Neil’s website when researching a lens to buy. I was simply stunned by his images. I owned a speedlight, but never really knew how to use it. So after spend a great deal of time reading his blog, I decided to arrange a lesson. I was not disappointed. Neil did a wonderful job explaining how flash works and then systematically took me through a series of exercises to demonstrate this information in practice. He covered topics including manual flash, TTL, Bounce, Softboxes, the “sunny 16,” shooting in harsh conditions. He even had coffee and bought lunch! His studio is amazing. I cannot recommend a lesson with Neil enough. He is artist and teacher and is definitely worth the time and money. I look forward to using what I learned to take better pictures and arranging another lesson sometime in the new year. There are many people who think that upgrading to the next and greatest camera is going to improve their photography. They are wrong. Learning how to control light is going to improve your photography. Living in NYC, I searched aimlessly trying to find a professional photographer who would be willing to show me one-on-one how to control light. I am very fortunate that I found Neil. Neil was open and receptive to teaching me and I now think of him as some kind of guru. I had three private tutoring sessions with Neil; one in his studio and two using Skype. I have benefitted tremendously from these lessons. I went to Neil completely confused about off-camera lighting. I had no idea how to use speedlights, umbrellas, and wireless triggers. All of the DVD’s and tutorials on YouTube about this subject seemed to be preaching to the converted. Most tutorials move at such a quick pace that I can’t follow them and there is no way I can ask basic questions that people like me need to know. This is why private lessons are a huge benefit. With Neil, our lessons were slow and deliberate. Whenever I had a question, he was able to explain it to me in a way I could understand. You will not get this kind of help with a DVD or on YouTube. Furthermore, I was not interested at all in taking photos. I was interested in knowing how to take good photos. I want to be armed with the knowledge to feel confident to know that in any lighting situation I will be able to take great photos in manual and TTL mode. What I like about Neil is that he is not a warm and fuzzy instructor. Like a good teacher he will explain something to you and then he will expect you to remember it and explain it back to him. This approach to teaching has really made me stop and learn what it takes to control light. 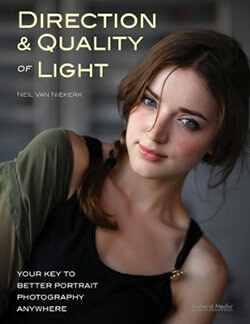 In addition, I highly recommend Neil’s book, “Direction & Quality of Light.” It’s no substitute for private lessons with Neil but it reinforces everything you need to know about off-camera lighting. Getting your light off-camera is probably the single greatest thing you can do to improve your photography. Thank you, Neil, for teaching me. My private tutoring with Neil was fantastic! He is very generous of his time and his knowledge. He answered all the questions I had and even more that I didn’t have. I work with TTL flash inside. Manual flash inside. When then work outside in bright sunlight with TTL, High speed sync and manual flash mode. Working with sunny 16 rule and learning to use the Guide number of the flash. I also learned a lot about posing my subject. Wow! What a difference a good pose can do to a picture. When you work with non professional model (the model for our session was my wife), you have to give a lot more directives to them so they pose adequately. I learned a lot about that too! Please do yourself a favor and have a personal tutoring session with Neil. Seriously. We wanted to learn some quick, go-to lighting set ups for weddings and events that would take the guess work out of things and help us cut down on set up time. What we came away with was that and so much more. 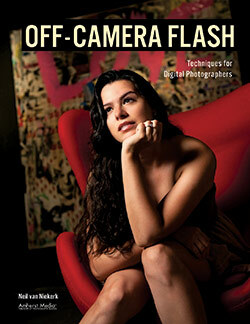 He shared with us so many excellent shooting and posing tips as well as solid lighting principles and set ups. We are excited to start implementing them. Under his tutelage you are sure to take your photography to another level. Plus, you’ll have fun learning with him. He’s sure to keep you engaged and interested throughout. THANK YOU, Neil! I have been following Neil for a few years now and decided to take my interaction to another level. I was not disappointed at all, in fact, it was an extremely satisfying and great experience. Neil is a brilliant teacher, he brings photography and all of the associated elements to life. I am a better photographer having been to this one on one session. Neil apparently knows everything there is to know about photography and helps with the art of posing as well. Everything is made plain in the sessions and I left feeling motivated with increased capabilities. I would recommend that anyone interested in photography, make it a priority to take one of these sessions. I came across Neil Van Niekerk’s blog and books several years ago. His information has always been ‘top shelf’. A week ago my business partner and I were able to meet with Neil for a tutoring session. In a few hours he managed to cover several photographic topics and techniques with greater clarity and application than just about any other instructor I’ve experienced in the past 30 years. Do yourself a favor and join one of his workshops, walks, or tutoring sessions . Thanks Neil, looking forward to the future. I’m still on a cloud nine from my tutoring session with Neil earlier today. I learned exactly what I needed, and so much more (which was a pleasant surprise). Neil is an excellent communicator and educator. He explained things in a simple way that was so easy to understand, and really clarified some technical things that never made sense to me before, even after taking some other courses. Not only did he verbally explain things, but we took out our cameras and flashes and he showed me exactly what he was talking about using our equipment, which was especially helpful and what I think was missing with the online classes I’ve taken. Neil offered some tips and tricks that really make me feel more confident moving forward with photography jobs. In just a few hours I became an infinitely better photographer! If you’re reading this and thinking about taking a class with Neil… do it! You won’t regret it. Thanks again, Neil!